If you think you've got game, run your smack talk here ! Bow - A weapon that uses elasticity to propel arrows. Bwana - Swahili, our father, master, boss. 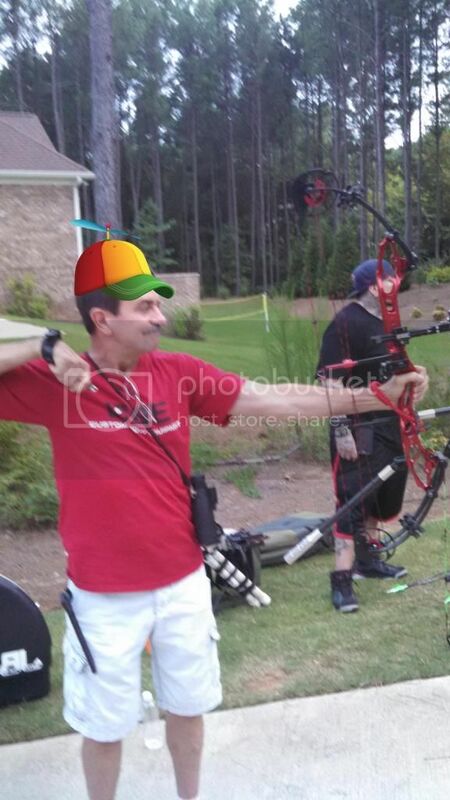 >>-Bowana-> Master bow hunter. At your age, I'm surprised you remembered to start a smack talk thread. Good for you. Get two more older folks as teammates and ya'll can call yourselves the Senile Senior Slayers or Triple S for short. We were taking away from his recruitment thread! You are the one who keeps paying entry fees & sending Bowanna BP cards just like the rest of us. I see you wised up and got the real killer in the family back on your team! There is no other thrill like a bow kill! My killers are putting in the string time this summer. And so it begins...............long ways to go before September this could get interesting. That expression says "low left"... But the hat has some lift in it! I'm thinking about setting up a Paypal account so that the people who are thinking about joining in the competition can just go ahead and give me their money and it will save them the time and effort of losing. We are sending the money to your boss man , it's your job to get to collect it. Wow bow, you've already won the challenge.